This versatile top offers you two looks in one. Who can ask for more? 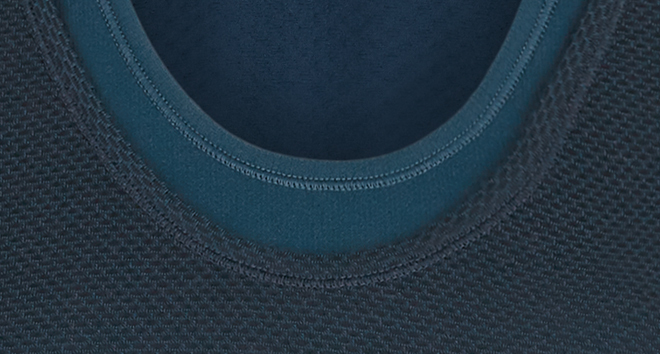 A lightweight under tank keeps you dry, while the sheer mesh over layer is breathable. Wear together or alone for every workout. If you like your fabric super soft, this double seamless vest is the one for you. Seamless Double Time Tank is rated 4.6 out of 5 by 7. Rated 5 out of 5 by SantaRita from Great yoga tank! This is Sweaty Betty's best yoga tank! This is my second one, and I am waiting for the Beetle Blue to be back in stock for a third one. It's very comfortable and great coverage. The Stargazer and Deep Forrest are beautiful colors! Rated 5 out of 5 by Jjrun from So soft! I worked out in this top today and it felt amazing! So light and airy. I was wishing I had 10 more! I'm 155#, 5'9" and ordered a medium-fits perfectly! Rated 5 out of 5 by SantaRita from I want more of these! This is my first time purchasing this tank for my yoga practice, and I will purchase more! The fit is perfect and very flattering. The dark forest green is such a great and Zen color. I hope you offer more items in this color. Rated 5 out of 5 by ObsessiveCompulsove from Best tank tops for working out. I bought the tank tops for working out. They are cute and functional. Will definitely be shopping SB again. Rated 2 out of 5 by brownlizard from Cute but Another sizing issue. Oh SB, how I want to wear your clothes, but you need to re-think fit! I wear a US size 0, usually small or xs. The underneath layer fit ok, not clingy but the top layer was just floating away, like it was 2 sizes bigger. Sadly, another purchase going back.